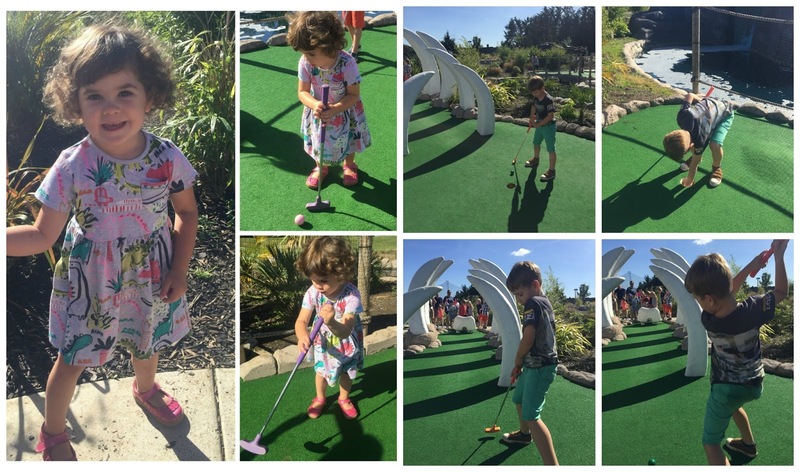 The day before we went on our holiday we celebrated Finn’s 6th Birthday once again. This time with all of his best mates and friends from school. and mainly celebrated with family and close friends. before we move next year! 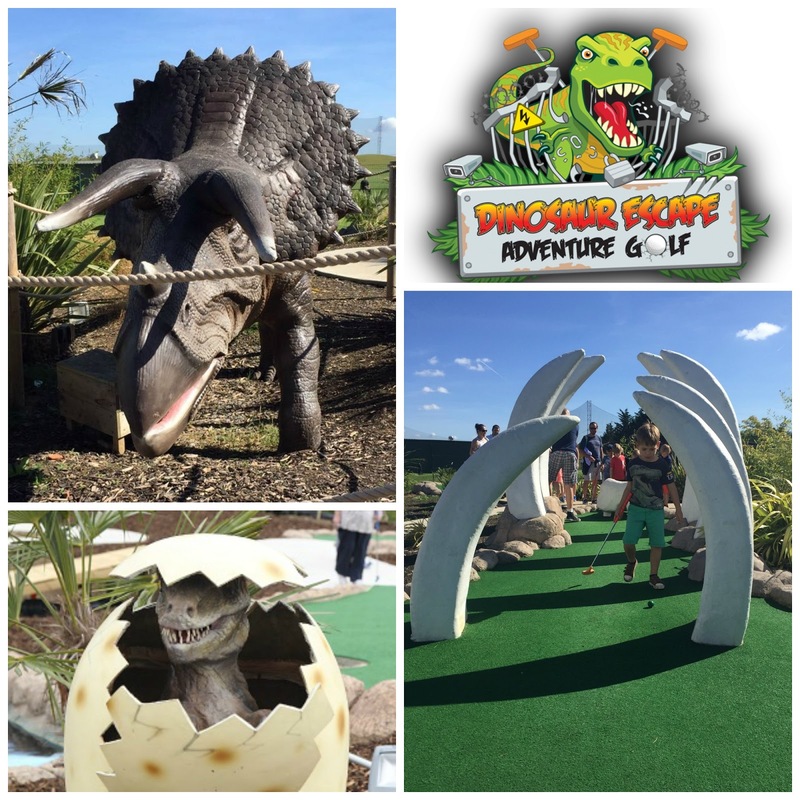 Hes been going to Dinosaur Escape Adventure Golf for a quite a while now. well mostly Daddy took him there so the dedication was made pretty quickly to hold his party with his 10 friends there. 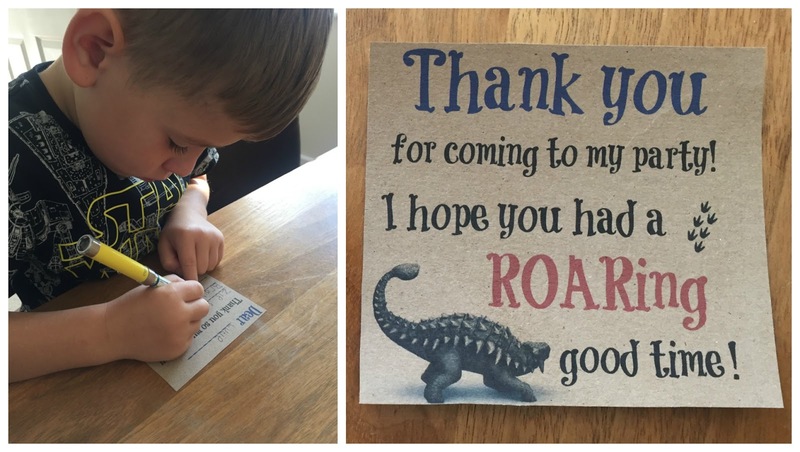 as well as a certificate and a dinosaur party box. 1. “Dinosaur Eggs” aka chocolate mini speckled eggs you can get them in any supermarket i got them from the pick’n’mix station at my local one just make sure you take a few extra (i got a large tub) just in case some off them are broken. 2. 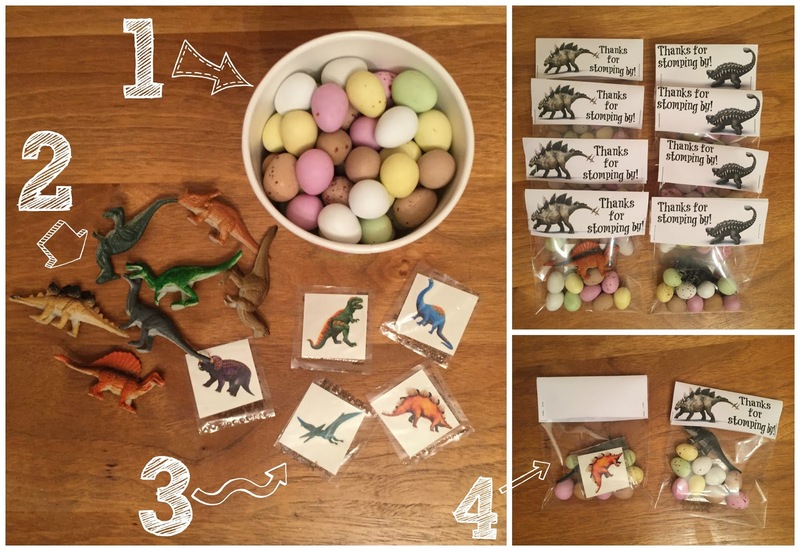 Tiny little dinosaurs (which you can pick up at ebay in a 12 pack quite cheap). i picked them up in a pack of 24 from amazon. which can be bought off ebay for a few quid! your “Thank you for stomping by!” label onto the bags. have an account but there are also many free ones to choose from). 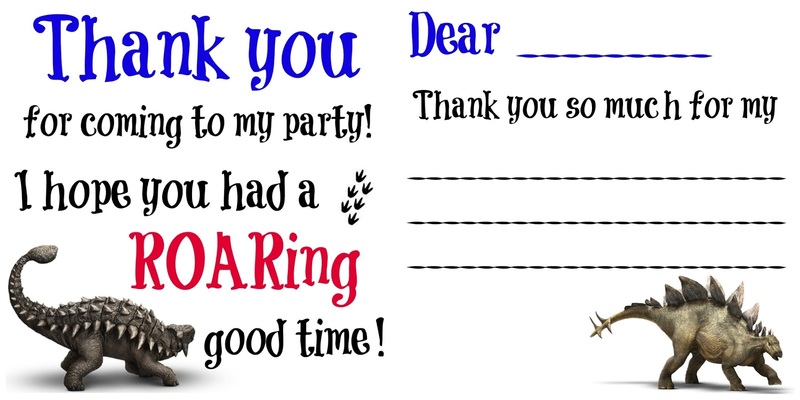 added thank you note for attending the party. – especially the boys – giggle hysterically!! Me being be I forgot the balloons but hey i had a dinosaur happy birthday banner a few stand up table decorations and we had a supercool orange triceratops pinjata so that kind of let Finn & all the other kids forget about the missing balloons! Although the pinjata game didn’t go to plan at all! went down a storm with all the party goers! 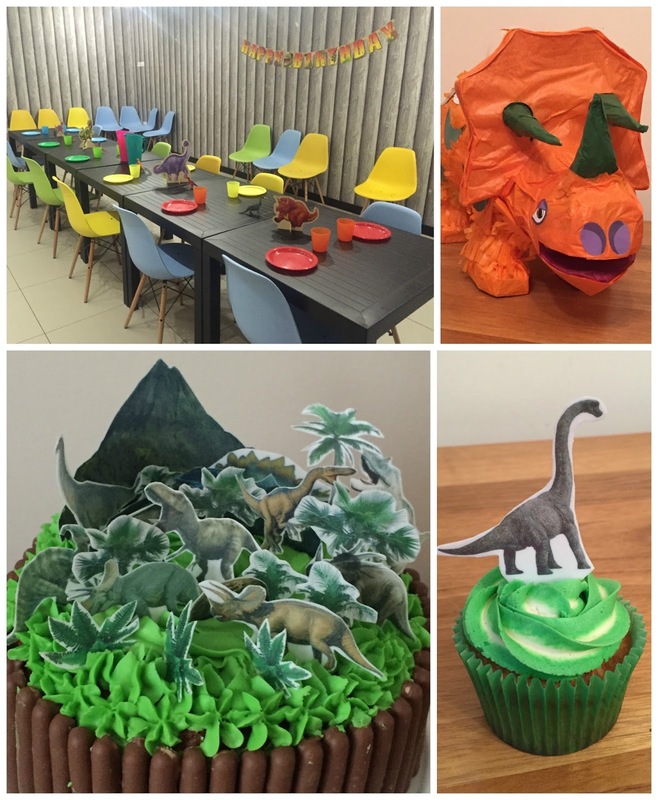 I thankfully found a mum from Finn’s school to bake me a small cake which she surrounded with choc sticks and covered in (icing) grass and added a 3d scene with edible rice paper dinosaurs (who i bought off ebay and then single handed cut out one by one oh the joys!! Next time i pay some extra few quid to not do that again!!). She also baked a lot of cupcakes with some white and green icing where i stuck lots of different edible dino rice paper on top. I packed them all in little cupcake boxes ready for the kids to take home together with their party bag. 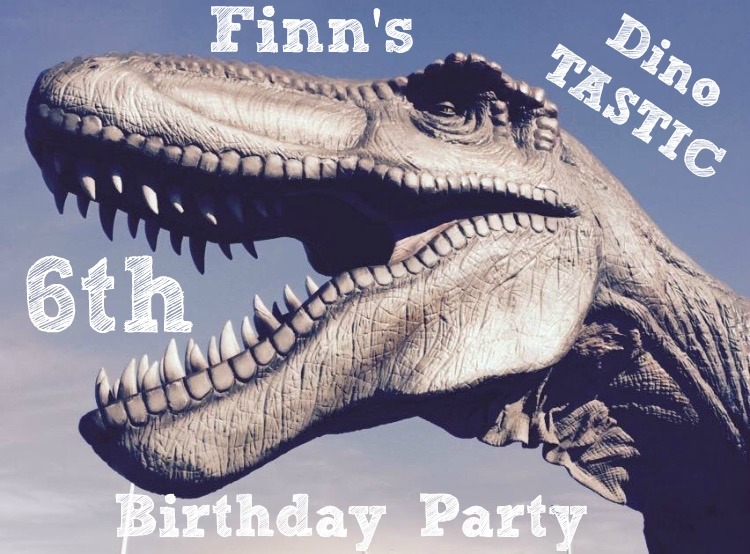 Despite the pinjata mishap, the forgotten balloons and the room being very very echoey it was the perfect dinoTASTIC birthday for our now 6 year old Finnster!! Once again i made them with help of picmonkey and printed them on a bit of a thicker brown paper.